The human feet and ankles are amazing biological engineering marvels. Supporting our body’s weight and enabling motion at the same time, the care of this very critical aspect of our function and operation is critical to longevity and comfort. In the ankle regions, occasionally, there can be degeneration of the ligaments that bind the critical joints together. One very critical condition is the tibialis posterior failure, also known as acquired flat foot. If you’re feeling unusual pain in your feet, consult with your orthopaedic surgeon, in order to have an appropriate analysis and diagnosis. With diagnostic tools such as MRI and X-rays, the internals of your ankles can be properly assessed, to identify any abnormalities. The tibialis posterior failure, is the condition induced by the weakening, and ultimate disruption of the operations of the posterior tibial tendon. The tendon is critical in the process of facilitating joint integrity, and also the relevant strain needed for flexibility, motion and weight distribution and management. The auxiliary ligaments and joints that complement the posterior tibial tendon also weaken as a result of it’s failure. The ultimate result, is the generation of the condition known as flat foot. With excessive compressive forces due to the body’s weight, and no resultant opposing forces to sustain the joint, the feet ultimately flatten under gravity. If not diagnosed early, there can be adverse health challenges later in life. Acquired flat feet is a deformity which causes malalignment of the skeleton, and must be addressed by a foot and ankle specialist. As a very common condition, statistics have shown that the most susceptible category of patients are women over the age of forty. If you are in this age group, it would be advised for you to ensure that you are taking great care of your feet, and have regular assessments by your orthopaedic surgeon. 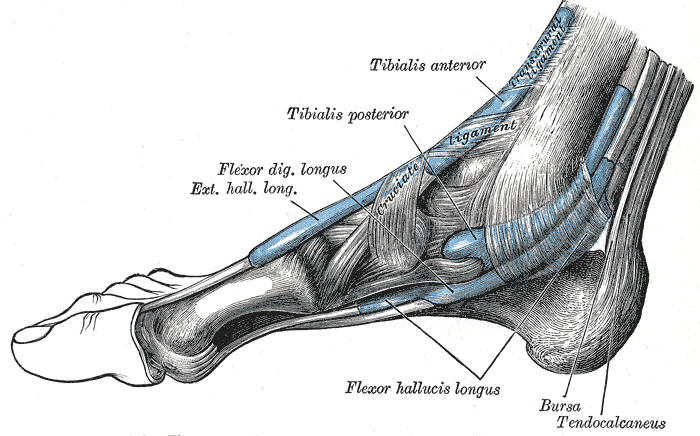 The medial hindfoot is afflicted with pain and swelling. The feet change in shape and possibly get broader, due to more weight on them due to increased compressive forces. The feet flatten as a result of the degeneration of the posterior tibial tendon. Valgus heel formation, diagnosed by lateral heel rotation, a flattened longitudinal arch and an abducted forefoot. Hindfoot Osteotomy is preferable if the patient is in the early stages of tibialis posterior failure, while the latter - arthrodesis, is preferable if the patient is in an advanced stage of the condition. Medical science has classified tibialis posterior failure into four main stages. Stage one is the early onset with the patient feeling pain along the tendon. The joint is still intact, and the feet appear as normal, with the pain sensations being experienced by the patient. Stage two has early onset deformity, with slight foot collapse and arch reduction. Ligament failure also begins at this phase. Stage three is complete deformation, while stage four is a spread of the deformity from the ankle to rest of the foot. As a serious condition that can adversely affect the feet, it is imperative that appropriate treatment be sought via a specialist. As with all health related condition, the earlier the detection is made, the higher the odds of a full recovery. With both non-surgical and surgical options available, the patient can feel confident in their ability to live a long, healthy and mobile lifestyle.